One of my goals over the past few years has been to get a close up shot of a male turkey doing his mating dance. This has proven to be quite a challenge. Contrary to popular belief, turkeys are very intelligent birds and are usually quite wary and elusive. The moment they sense that they are not alone, they disappear in a hurry. I have made some nice images in the past, but always from a distance. On Sunday, I went to one of my favorite local birding spots. As I was approaching this neighborhood, I was running through a mental list of the birds that I might see and how I might like to photograph them if the opportunity arose. As I thought about turkeys, I spotted some males dancing on a hill behind a house. They were very far away without a clear view. I parked my car and tried to sneak into position to make a shot through some trees. Before I set one foot on the ground, the turkeys which were more than 100 yards away decided to leave. Fortunately for me, they moved to the other side of the house and I could park by the side of the road and use my car as a blind. For some strange reason, most birds don't associate cars with humans. They will often tolerate the presence of a car even though they would not tolerate the presence of a human. From my car, I was able to make some decent medium distance shots. The turkeys were approximately 35 yards away and doing their dance. There were four males, but no females. As I was wondering where the females were, I heard them calling from down the road. They were calling from the yard of another house where I frequently see them. When the four males that I was watching moved further away, I decided to see what the females were doing. Much to my surprise and delight, they were being entertained by a large male that was only twenty feet from the road! I slowly coasted my car into position and made some quick images. The turkeys were not bothered by my presence at all. They continued on with there courtship for at least another five minutes, before they moved across the street to a large conservation field. I was thrilled to be so close to these turkeys. After many unsuccessful attempts to get close to these birds, I was finally able to get close and make some frame filling images! To me, turkeys are an amazingly interesting bird. They are at the same time incredibly beautiful and ugly. They are vibrantly colorful, particularly in the spring during mating season. As the morning went on, I spotted seven male turkeys and nearly thirty females, all in the same neighborhood. I was stunned at how many males were about. 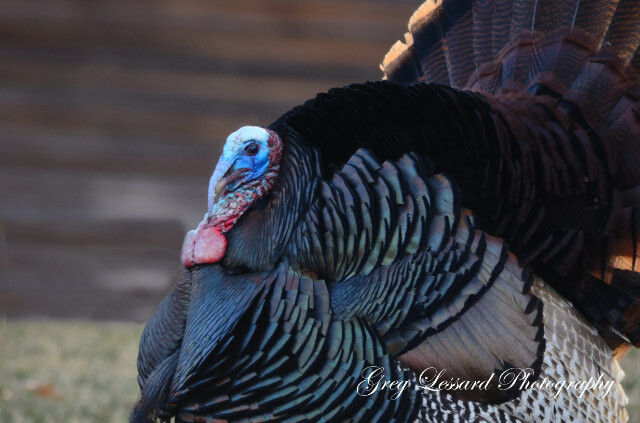 I hope to return to visit these turkeys over the next few weeks to try to improve on my images. I will be incredibly lucky to have another morning like this one! 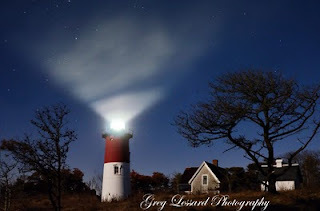 During the "super" full moon last week, I made this image of Nauset Light. I was excited by the fog that was illuminated as the light turned. It made for a very interesting image. The moon was bright enough to light the house while not washing out the stars. Combined with the fog, this lighting created a very dreamy effect. I set my ISO to 800 with an aperture of f2.8 at 1.3 seconds. The wind was blowing strong and carrying the fog away. Each shot was different, because the amount of fog kept changing. This was my favorite of about 30 images that I made. I am very grateful to my dad who waited patiently on a cold evening while I worked to make this image! 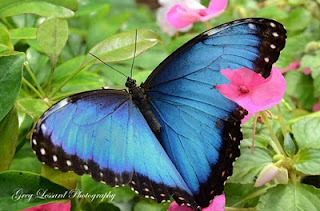 The Plymouth Digital Photographers went to the Butterfly Place in Westford, Ma on Saturday. It was a fun event, with plenty to photograph. Nearly everyone was trying to make an image of the gorgeous blue morpho butterflies that were so illusive. I was thrilled to make this up close image! I will once again be co-leading a trip to Acadia National Park this fall for the Massachusetts Audubon Society. This trip is a fantastic opportunity to photograph some of the nation's most beautiful scenery. Acadia is a mystical land where mountains run into the sea. A long time playground for the nation's elite, Acadia has become one of our country's most treasured National Parks. We will visit some of the parks most celebrated views and some lesser known secrets. 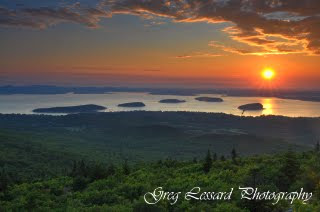 The trip will include views from Cadillac Mountain, Jordan Pond and Ocean Drive. We will also explore Bass Harbor, a quaint Downeast fishing village. The place names are as familiar to New Englanders as the names of beloved family members: Otter Cliff, Cadillac Mountain, Boulder Beach. They stand for Maine, for the ancient pine forests that crawl right to the edges of the rugged coastlines. They make Acadia National Park one of the most beautiful places on earth. Join John Galluzzo and photographer Greg Lessard on a photographer's journey through the sunrises and sunsets of Acadia, along the Tarn Trail, to Jordan Pond, up the Shore Path and to Bass Harbor Lighthouse and Eagle Lake. We'll focus on the natural beauty and the manmade additions to the landscape, catching them in just the right light throughout the weekend. This shot was made from Wood Street in Halifax. The barn is over a mile away on Thompson Street in Middleboro. It is the last working dairy farm on Thompson Street. I had been birding along Wood St. the night before, looking for short eared owls. While I was looking for birds, I noticed how beautiful the barn looked at sunset. Using my 200-500mm lens (750mm on my D7000) I was able to isolate the barn nicely. After a few shots, the local pack of coyotes began to yip and howl. They were answered by three great horned owls hooting to each other in the swampy woods behind me. It was an outstanding evening even though the short eared owls did not come out to play. The next morning, I returned to take advantage of the falling snow to improve the shot! If you look carefully on the left side of the photo in a tree is a small dark spot. I am not sure, but I believe that is a great horned owl weathering the storm. There have been a number of sightings of a great horned owl in the same general area this winter.